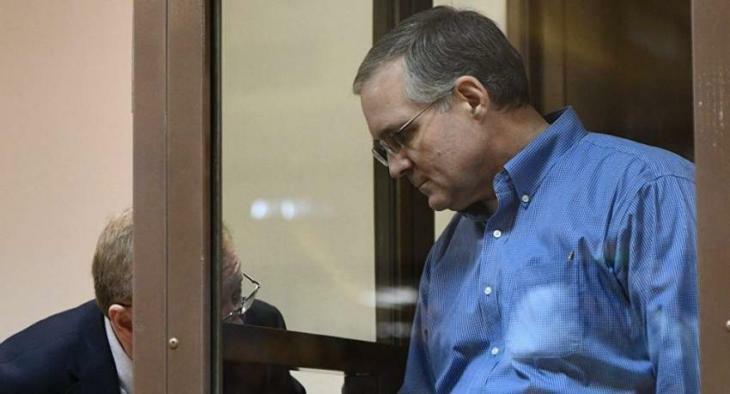 WASHINGTON (UrduPoint News / Sputnik - 16th April, 2019) US diplomats have asked the Russian authorities to allow them to visit with US citizen Paul Whelan, who detained in Moscow on suspicion of espionage, Paul's brother David Whelan said in a statement on Tuesday. "The US Embassy has asked the Russian Foreign Ministry to be able to visit Paul this week," the statement said. British diplomats already visited Paul on April 11, according to the statement. David Whelan expressed frustration that "investigator Alexey Khiznyak continues to intercept mail and is holding the books that the prison has received" intended for his brother Paul. He explained that Paul had sent about 100 letters to the UK, US, Canadian and Irish embassies since being detained in December, but none have been received by the intended recipients. Moreover, Paul has received only three letters, David Whelan added. Russian officials have yet to release details of the allegations against Paul. Last week, Russian Foreign Ministry spokeswoman Maria Zakharova said the country's law enforcement agencies were working on the case. Paul has denied all charges he was involved in espionage and insists he came to Russia to attend a friend's wedding.